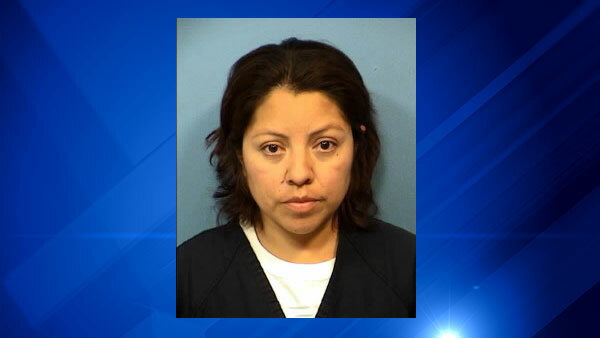 CAROL STREAM, Ill. -- A woman put nail polish remover in her 17-month-old stepdaughter's baby bottle, according to officials with the DuPage County State's Attorney in Illinois. Police said they responded to a call at 36-year-old Andrea Vazquez-Hernandez's home on May 29th about a child who may have ingested nail polish remover. Investigators said that at some point earlier in the day Vazquez-Hernandez added nail polish remover to her stepdaughter's baby bottle. Vazquez-Hernandez was charged with one count of aggravated battery and one count of domestic battery. A judge set her bail at $250,000 on Tuesday.